Magnesium burning, 5 of 6. 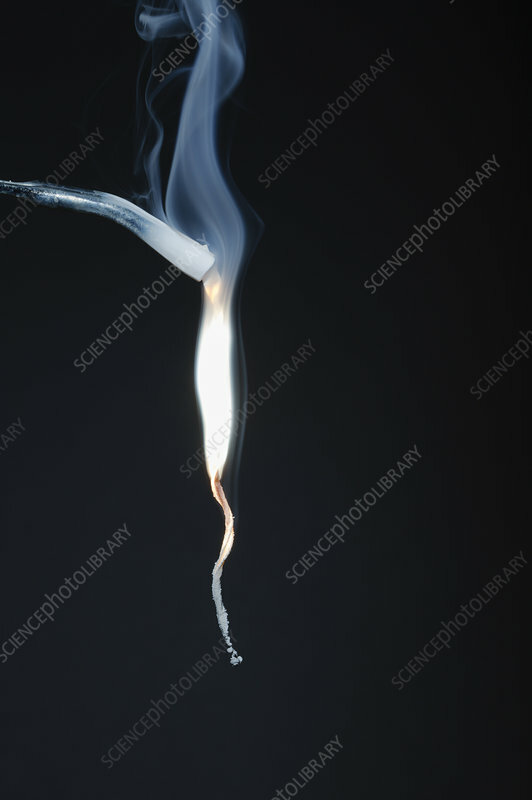 This sequence shows a progression as magnesium ribbon burns producing brilliant white light. As a result of this combustion reaction white magnesium oxide is formed.